Yep it is! I have two squee announcements for my Birthday! One: I actually have a cover featured ON THE FRONT of RT Magazine! * faints* I haven’t been able to get a physical copy of the mag yet, but bet your sweet a$$ I will be buying 10 copies! LOL So if you happen to see the mag, think… I know the chick who did that cover! LOL YAY! 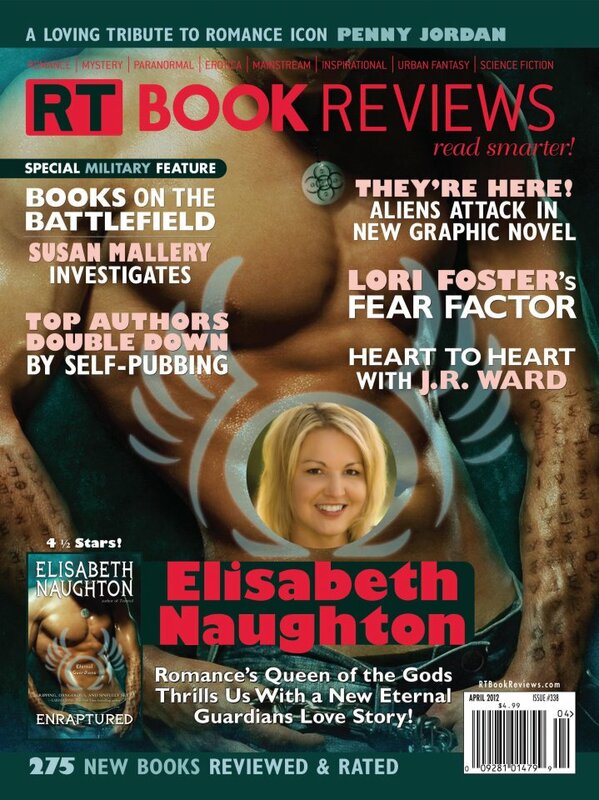 Two: While at AAD last August I was interviewed for The Popular Romance Project. They caught me dressed in my corset for the Dress-up ball! LOL Eeekkk Plus I was so nervous! But… if you want to see me on video.. * diet ASAP * Here is the link! It is a pretty interesting site! Check it out! Other than that… I am off to be spoiled today! Hope you all have a great week!